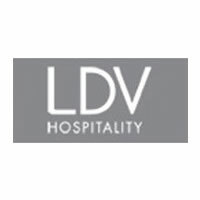 LDV Hospitality is a premier restaurant group, operating 20 venues across the country. They create and operate their independent restaurants, nightclubs and lounges and develop and manage the food and beverage operations of their hotel clients. LDV chooses to offer Vero Water to their guests at the Revel Resort and Casino in Atlantic City, the Paramount Hotel in NY, The Gale Hotel in Miami and at several of their fine dining outlets throughout the country.